The sensor manufacturer SICK offers a broad portfolio of identification and vision solutions which are developed and produced in-house. Regardless of which technology you choose today, you can be sure to be flexible in the future with the 4Dpro concept. All 4Dpro sensors are compatible and interchangeable. Standardized connectivity, a common user interface, and a common set of accessories – we call this unique combination 4Dpro. All 4Dpro sensors feature the same modular connectivity. This provides the basis for a flexible fieldbus connection combined with high process reliability. What’s more, you benefit twice over: the purchase order process is less complicated and the integration effort is reduced. All 4Dpro sensors use SICK’s universal device configuration software. This means that you can quickly familiarize yourself with all technologies. Data is sent to the control in the required format and the inputs and outputs of the 4Dpro sensors can be analyzed quickly by an event monitor. 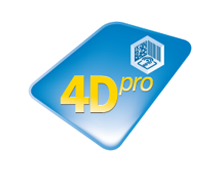 All 4Dpro sensors are supported by the same accessory pool. This reduces both component variety and storage effort, smoothing the way for low storage costs.